Get Involved - Passaic Board of REALTORS®, INC. Committees are the life-blood of the organization. 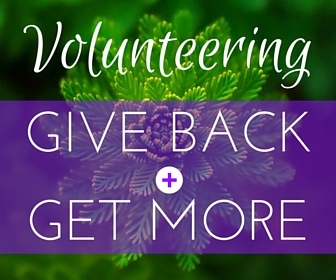 Volunteerism brings both personal and professional exposure. Networking, and enhancement of cooperation with others, are both intangible benefits of your involvement. You will be plugged into information and your leadership places you in a position to help create the rules. If you would like to be considered to serve on a committee, you need to submit your name for consideration. Committee selection forms are distributed each October for the following year. Committee appointments are made by the President. Implements successful community or political outreach initiative on matters affecting our communities through the utilization of NAR and NJAR’s wide range of community grants, services and tools. This committee’s job will be to assess which tools can be utilized and to help our communities and to become partners with our community and its leaders to make our neighborhood’s stronger. This council will serve as the voice for the Affiliate Members. They work to encourages and promotes affiliate participation, as well as forming collaborations with them to enhance their membership experience and exposure. They assist in recognizing and recruiting individuals and companies in related real estate industry businesses to participate in the Association. They create awareness to the Affiliate community about various association sponsorship opportunities. This council will help to serve as the voice of the brokerage community for the association. This is a forum for broker input. This council will assist the association in creating awareness and engagement by fellow Brokers in the association. This council will design and tailor specific tools, services and benefits for the brokerage community. Open to Brokers and Managers. Reviews the Bylaws and other governing documents, association policies on a regular basis and recommends changes to the Board of Directors and membership as required. Reviews and verifies all applications for the New Jersey REALTORS® (NJR®) Circle of Excellence Sales Club Award and Distinguished Sales Award. Committee also sets, plans and executes annual Award Luncheon and solicits sponsor support. Suggests, creates, plans and implements community outreach events and functions for the membership. Works closely with President and the Association with the annually chosen REALTORS® community project. Develops PR and communications initiatives to be the Voice for Real Estate and to enhance the REALTOR® image. Receives, investigates and reviews all grievance complaints. Acts as grand jury and determines if complaints should be referred to Professional Standards. Requires annual completion of NJAR training program in Professional Standards. (Only 12 committee members and 3 alternates can be appointed to this committee and are chosen by the President each year, this committee must contain a wide diversification of firms and will be chosen accordingly) Please select a back-up committee should you require the credit for NJR® Circle of Excellence. To assist the leadership of the organization to become an effective force in the political arena. The Legislative Committee is responsible for all of our political activities in the local arena; which includes researching, interviewing and meeting local candidates and legislators. They also ensure that the Association is involved in community efforts that would have an effect on real estate. This committee may work in conjunction with the Advocacy Committee and the RPAC Committee as required or requested by the Association. Provides input, suggestions and concerns to Board representative to the Garden State Multiple Listing Service. Conducts monthly educational seminars and programs. Responsible for programs and speakers for the General Membership Meeting and sets Designation classes for membership. Combines efforts with REALTOR® protection / Risk Reduction, Cultural Diversity and Equal Housing Opportunity themes. Conducts all Ethics and Arbitration hearings as referred by the Grievance Committee. Requires annual completion of NJR® training program in Professional Standards. Coordinates participation in the RPAC program by the members. Promotes awareness, participates in fundraising and helps the Association make its annual quota. Strategic Planning Committee updates the association goals to reflect the critical challenges and emerging opportunities that the association and the real estate industry will confront during the next three to five years. Develops, plans and orchestrates annual education, social events and charitable work opportunities for our Young Professionals Network. Works in association with other local YPN’s to create regional cooperation.